Look Charlie, its the magical Liopleurodon! 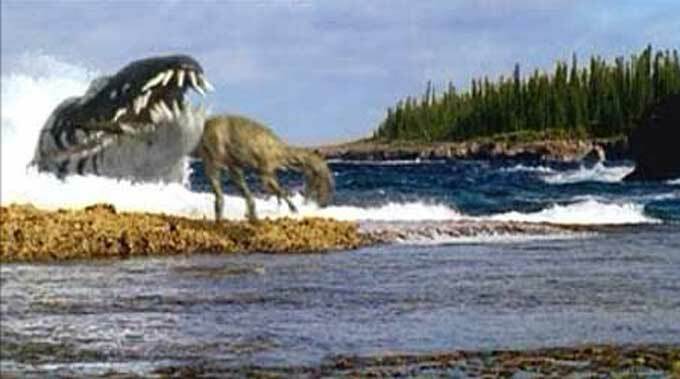 Calling Liopleurodon magical may seem silly but in Walking With Dinosaurs and Primeval’s case, that description would be quite fitting. 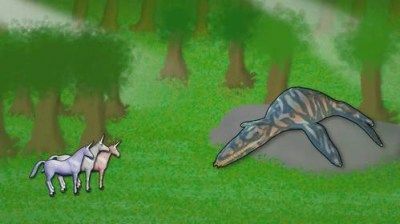 Liopleurodon was actually about 6-7 metres long, possibly 10, but probably no more than that. So the idea it could pluck a Eustreptospondylus off the land is obviously make-believe. 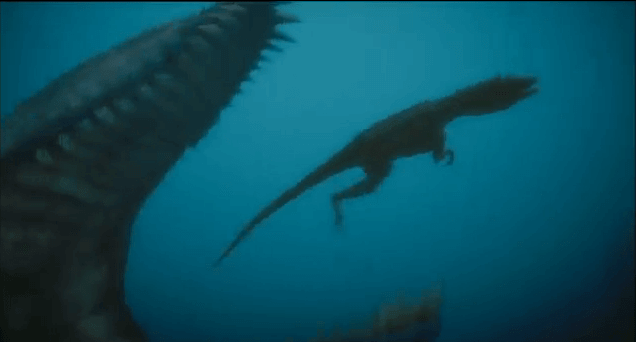 A 25 METRE Liopleurodon is just going to far. NOOOOOOOOOOOOOOOOOO!!!!!!!!!!! THEY BE STEALIN’ MY CREDIBILITY! So what is it? Apparently Tim Haines confirmed that the Balaur which will appear in Episode 5.3 will be coloured black with red eyes, as a joke because it comes from Transylvania. 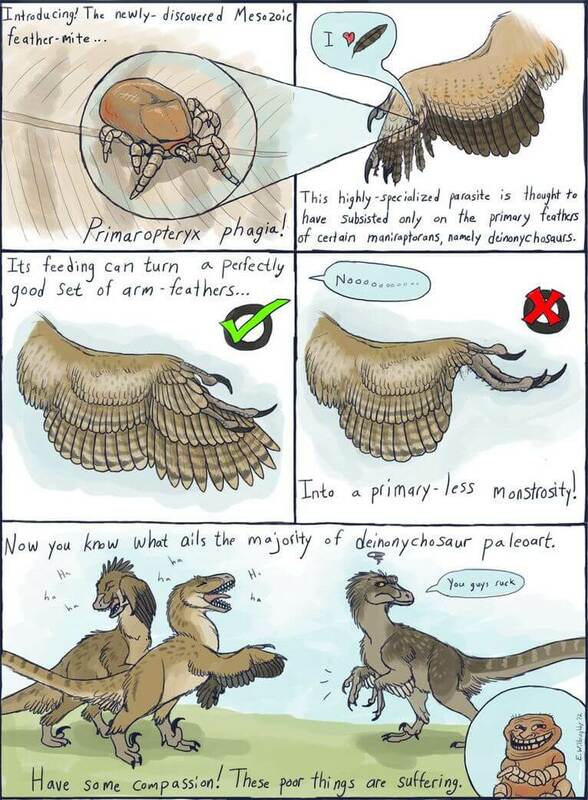 Oddly the dino in 5.3 is a Dromaeosaurus so many say the one in 5.2 is a Balaur, as it fits the description. Others say it is a Eustreptospondylus. Balaur did have a third, useless digit on its hand, which would have been visible if the animal had no feathers, like this freak of nature. But unfortunately, it had neither in Primeval! It doesn’t matter what I am, I’m going to get eaten anyway! Poor Eustreptospondylus, remembered through time as “that dino which was grabbed from the water’s edge”. While I still find people on YouTube and various Forums who still think Liopleurodon is King. Sad really. 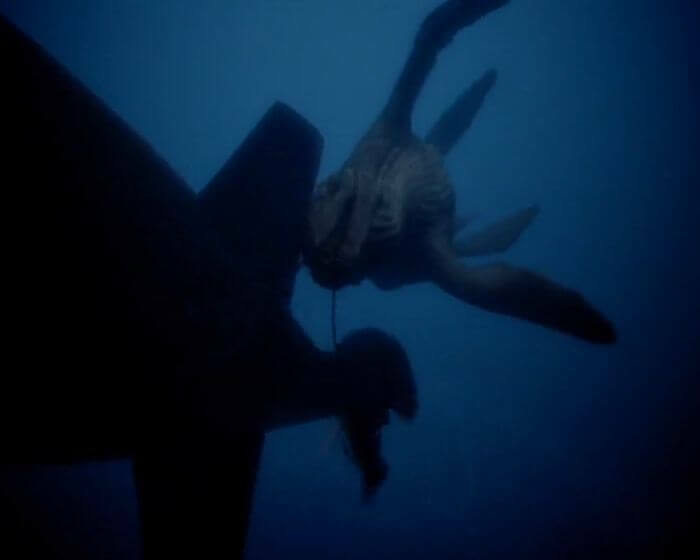 Post who you think is the ultimate sea monster, I’d like to know everyone’s opinion on this. 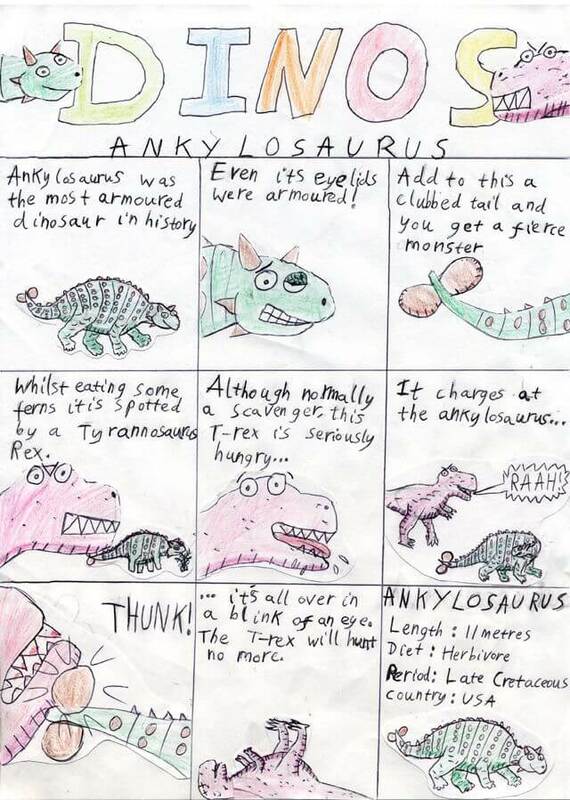 Here is the second comic strip, all about an awesome battle between an Ankylosaurus and a T-rex. 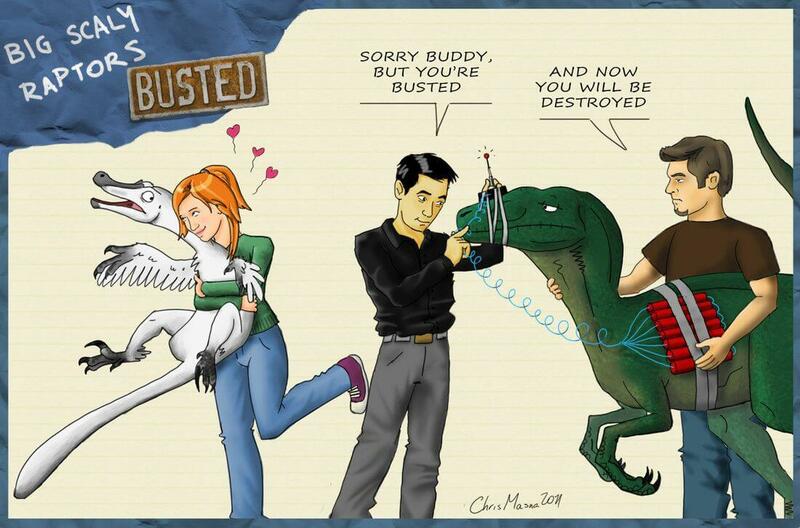 To all T-rex fans, WHAT COULD YOU HAVE EXPECTED! 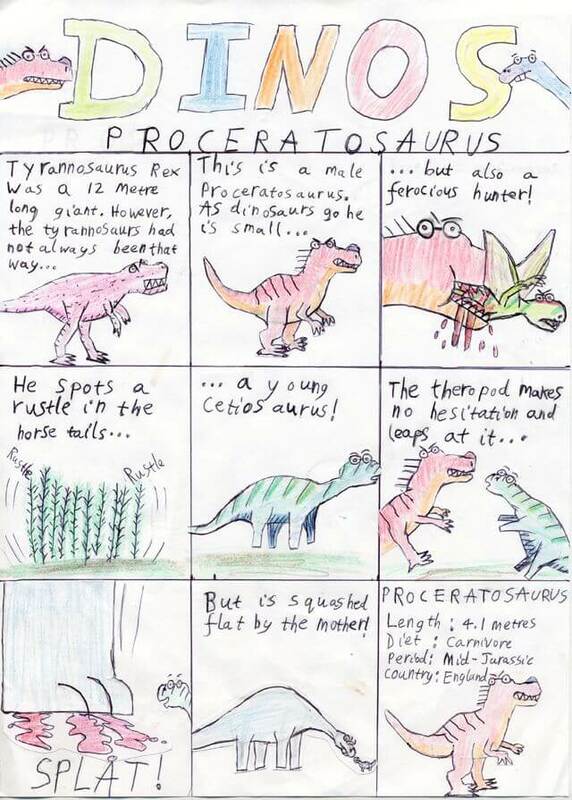 This a new comic strip of a Proceratosaurus and an unfortunate event (for him at least) with a cetiosaurus. Enjoy! 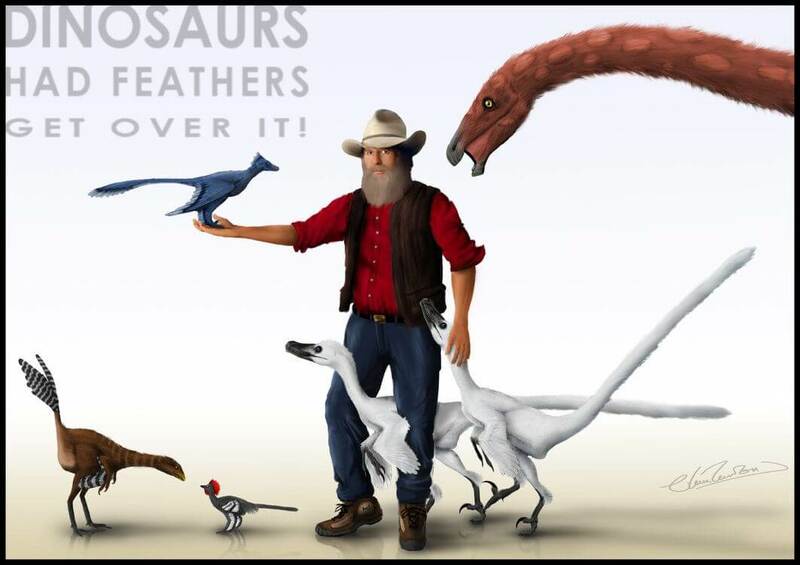 If you have a dinosaur you want me to make something like this for, tell me! They’ve done it again. 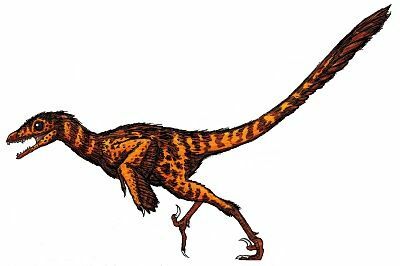 Sinornithosaurus is the third dinosaur we know the colour of and, because it comes from the same place as sinosauropteryx and confuciusornis, it would be great in the coloured dinosaur film. In fact it was shown on Planet dinosaur recently as a gliding dinosaur with a venomous bite. This year I went to Heidelberg and Stuttgart on holiday. Whilst in Stuttgart I visited the State museum for natural history. The museum is split into two parts, the Schloss Rosenstein is for stuffed animals and the Museum am Lowentor is only for German prehistoric animals (so no t-rex, triceratops, velociraptor or any of those really common dinosaurs.) This is about the great central display showing a diorama of late Triassic life. 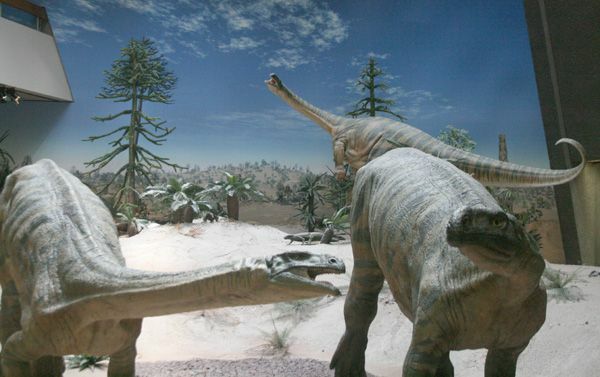 The most famous of the dinos is plateosaurus, the most famous triassic animal (joint with coelophysis.) But far from its fairy tail land of America ,of where it did not live, plateosaurus is a German citizen. But it wasn’t the only herbivore on the block. 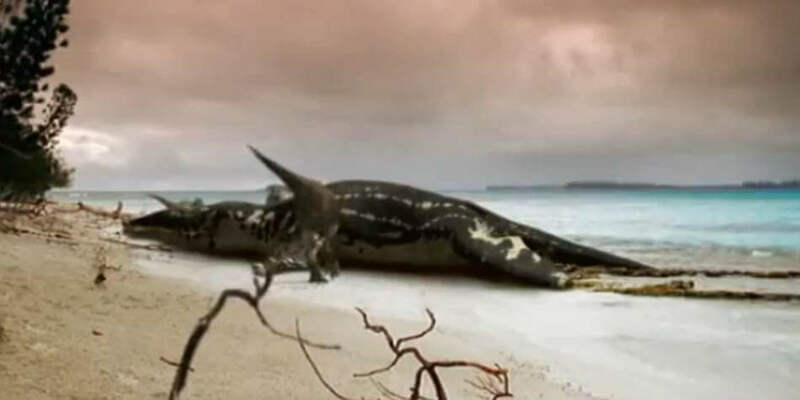 A even larger dino called gresslyosaurus also lived there. Much controversy surrounds this 9 metre beast as many say that it is just a large plateosaurus. The museum doesn’t so I dont know who to believe. 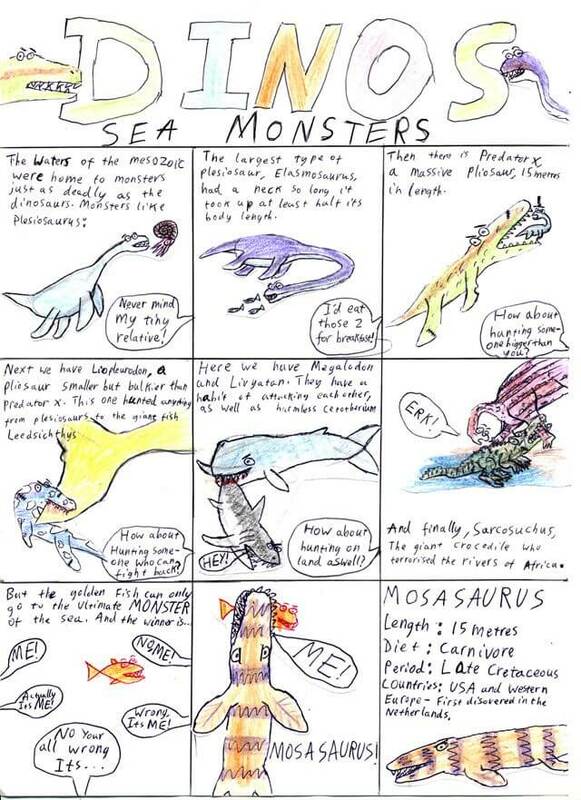 You may ask what ate these beasts if there were no coelophysis or postasuchus. 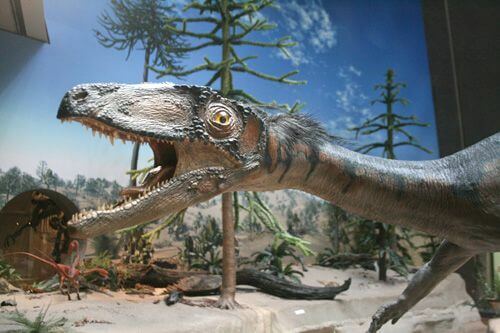 Well, coelophysis’s relative liliensternus. This beast probably hunted in packs to bring down the huge prosauropods. As well as him there was also procompsognathus who hunted insects and squabbled over the remains of liliensternus kills. But most importantly there are the pterosaurs. 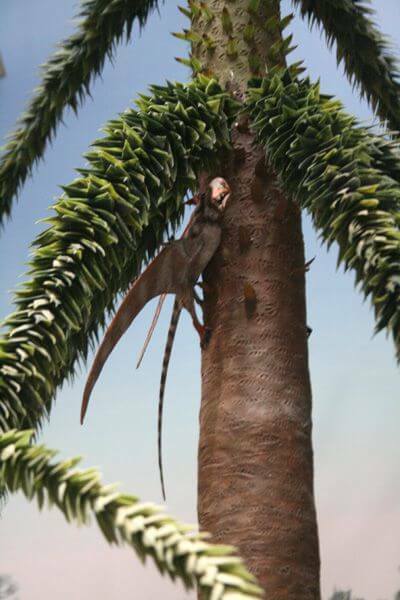 The first pterosaur was eudimorphodon. This tiny German pterosaur was the ancestor to pteranodon, pterodactylus (German but also French so was not mentioned in the museum) and all the other pterosaurs. This is a video of my amazingly cute kittens acting as snow leopards.